How an evidence ‘safari’ helped us to think about the policy issues facing the ageing Scottish population. Like all advanced economies, Scotland’s population is ageing. The number of people aged 75 and over is projected to increase by 85% over the next 25 years. This ageing is happening at a faster rate than the rest of the UK. The pace of change over future years will be dramatic and will challenge how Scottish policy-makers think about and design policy. Many of the issues raised will cut across traditional policy boundaries. 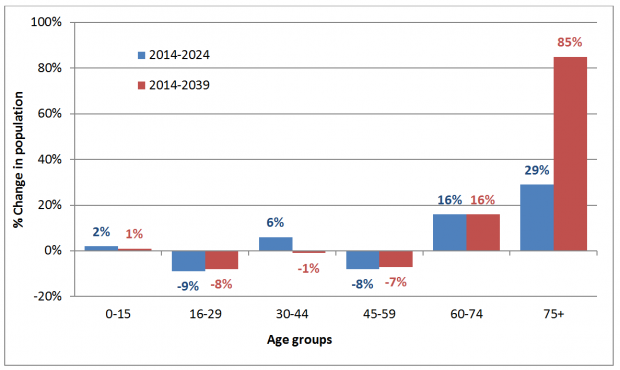 The ageing of Scotland's population is driven by rapid growth in the over 75s age group. For the first time, the Scottish government’s Strategy Unit teamed up with the UK Foresight team to run a workshop for Scottish policy-makers. 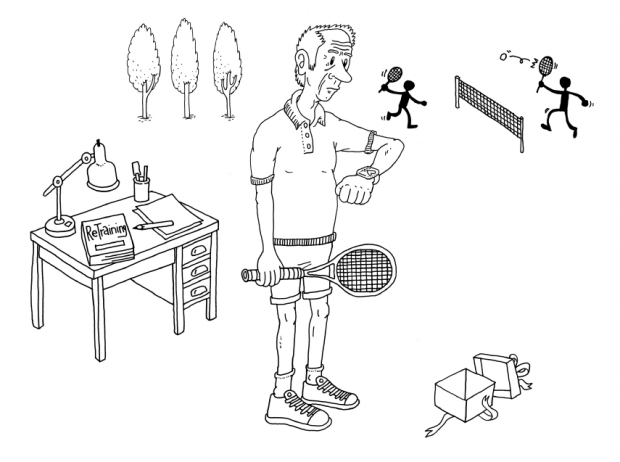 We wanted to challenge and open up thinking around population ageing across a wide range of issues. We took policy-makers on a ‘safari’ through the latest compelling evidence on demographic change. The Foresight team presented numerous cards, setting out the latest evidence on ageing. These clearly communicated facts and statistics, so powerfully revealed the scale of the change ahead. Everyone at the workshop then selected key pieces of evidence which helped us to understand the broad scope of potential changes in our policy areas. We then used this understanding to think about how an individual could experience those changes in 2040. We considered this from both a positive and a negative perspective. Bill is a fictional 72 year old in 2040. My group considered how an elderly gentleman called Bill might be living. Bill is a keen technology enthusiast whose family worked long hours. He wants to participate in local activities but is increasingly experiencing poorer health. When we discussed our aspirations for Bill, the issues and solutions did not fit into individual policy areas. This really brought home to us how important integrated policy responses will be to positive outcomes. The challenge to policy makers is to collaborate and design policy in new ways. We need to be able to recognise and plan for ageing. And we need to identify early opportunities which will improve Bill’s quality of life later on. Just one small example: a person’s ability to use technology in later life is partly shaped by the technology they use in their last job. Technology is expected to play a greater role in care and support for older people. Ensuring that older workers are skilled in the latest technologies will help make sure they reach later life able to make best use of future services. We will be using the network formed through this group, and the discussions started at this event, to continue to support policy thinking that works for Bill, and other citizens in 2040. If you work in the Scottish Government and want to get involved, please email Alison. Find out more about how an evidence ‘safari’ works. Sign up for email updates from this blog and follow Foresight Projects on twitter to stay up to date with the latest evidence and ideas from Foresight Projects.